Indian Law: CAN A FOREIGN CITIZEN OWN PROPERTY IN INDIA? CAN A FOREIGN CITIZEN OWN PROPERTY IN INDIA? Can a foreign citizen hold any immovable property in India? This is the question often raised by Non Resident Indians. Several Indians owning property in India and desirous of settling their property in favour of their sons, daughters and grand children who are citizens of another country also raise this question quite often. Section 31 (1) of the Foreign Exchange Regulation Act, 1973 categorically states that no person who is not a citizen of India shall, except with the previous general or special permission of the Reserve Bank of India, acquire or hold or transfer or dispose of by sale, mortgage, lease, gift, settlement or otherwise any immovable property situate in India. The only exception is acquisition or transfer of any such immovable property by way of lease for a period not exceeding five years. The dictionary meaning of the word “hold” as given in The Shorter Oxford English Dictionary is “ to have or keep as one’s own; to own as property; to be in possession or enjoyment of”. Therefore it is clear that a foreign national cannot hold any immovable property situate in India whatever is the means by which the said property comes to him. Now the question is: If some one purchases any property in India in contravention of the said statutory provision, will he acquire a valid title to the property? The above said Section 31 (1) does not provide that if some one purchases any property the title therein does not pass to him. What the Act provides is that if a person contravenes Section 31 and some other Sections, he can be penalized under Section 50 and can also be prosecuted under Section 56. However there is no provision in the Act which makes transaction void or says that no title in the property passes to the purchaser in case there is a contravention of the provision of Section 31 (1). Section 63 contains a proviso regarding confiscation of certain properties but it does not contain any provision for confiscation if there is a breach of Section 31 (1). Therefore the property purchased or acquired in any manner whatsoever in contravention of Section 31 (1) is also not liable to confiscation. It is therefore clear that if a person contravenes the provisions of Section 31 he can be penalized under Sections 50 and 56, but it will not invalidate the passing of title to the purchaser of the property and he can have a valid title to the property even if there is a violation of the provisions of the Foreign Exchange Regulation Act and it is for the concerned authorities to take action against him if there is any violation of the said Act. Good Start!!! Keep it going! That is quite an important legal idea which I never knew! I personally know somebody who bought quite a bit and started an organization and pumped in lots of money and then got a citizenship - whatever happened to his property I wonder! So if by any chance your children become foriegn citizens, they dont inherit indian property yeah? I never knew this - I know this case too among many of my friends who bore children in USA to give them natural citizenship and have bought houses in India with hard earned money!!! Duh, did they know this law I wonder! Informative post! @Sree: You can expect a new post every week. I will deal with various subjects like adoption, child custody, divorce, maintenance, personal injury etc. Keep watching. @Kookaburra: If the property is acquired before becoming a foreign citizen it will not attract the provisons cited by me. Even in other cases, permission of the RBI can be obtained with proper guidance. i have a query, we were a joint family and after my fathers death my uncle(fathers brother) started creating problems.so we seperated. my fathers legal heirs are a son(me),2 daughters,my mother. does my grannt(fathers mother) has the right to fathers share?Also most of my fathers property was in the name of my mothe and father. granny has 2 sons more and her age is 80+.plz advise. @Anon: Yes. In the properties left by your father (in his name) his mother has a share. However, she cannot claim any share in the properties that are in the name of your mother. Great short sale blog post on buying a home after short sale or foreclosure! I am a widow and my husband is dead before 6 years of cancer. My jewels are still in his house. but they say that they that they have given me the gold. Also a land nearly 10 cents is still in my husband's name. his mother is also alive so she is also having a share in it. Can I file a case against brother-in-law and mother-in-law about the jewels and property? Please advice. I am a kenyan national who holds an oci card. My husband married under the Shia Ismaili muslim constitution has not legally divorced me, but has deserted my children and me for 2.5yrs now. He remarried last year an Indian national and since then has been investing in India. is there any way I can file a suit against marrying an already married man, or bigamy suite against my husband, and claim any property he purchases under her name or his USING MY NRI STATUS IN INDIA. 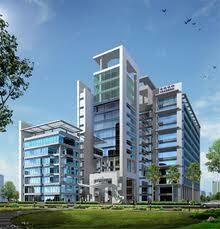 Supertech with pride announces the launch of its residential project Eco Village 4, in larger Noida (West). Meri marriage 8 Apr _2011 hui thi. Meri wife general caste saxena hai and mai Gupta hoo.mere two baby hai beti aur beta kya mai inter caste marriage claim kar sakta boo. I am a Hindu BC girl and I am married to a sc guy. I don't want our children to be sc. I want our children to be of my caste BC. Will that be possible?